Website template is the best solution for site building. Here are 20 best free responsive HTML5 web templates in 2018 for creative and powerful website building. In the early days of web development, good, free website templates were hard to find. Fortunately, web designers and developers are now sharing free responsive web HTML5 templates, free Bootstrap templates, and free CSS templates through the Internet. Due to the flexibility and powerful features of these website templates, demand has grown for responsive HTML5, Bootstrap and CSS web templates. Mockplus has compiled the best free responsive HTML5 web templates in 2018 that are easy to learn and implement quickly. For more free HTML5 Website Templates: at Template.net they create Premium website Designs for Free. Why did HTML5, Bootstrap, and CSS3 website templates get so popular? 1. HTML5 supports all browsers and is the latest markup language for creating great websites. Due to the increasing popularity of the HTML5 language, HTML5 website templates are also popular. 2. CSS3 is the latest version of the CSS language to provide the best style sites, such as unlimited color combinations, great font styles, font selection, and more. In general, the CSS3 language makes your website beautiful and stylish. 3. 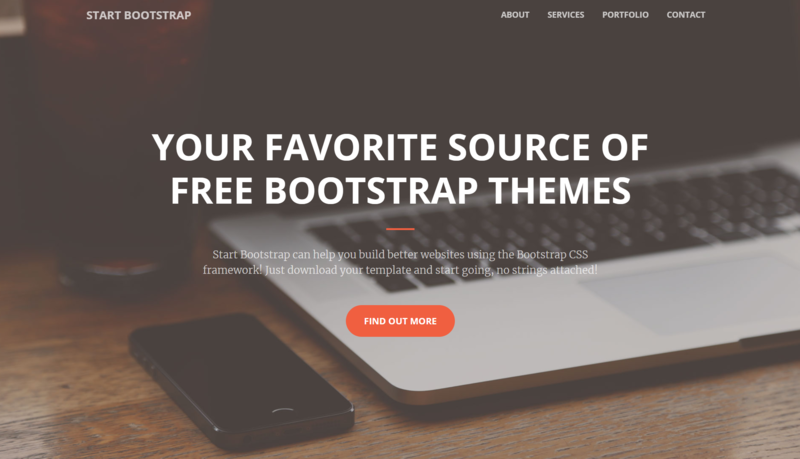 Bootstrap has become one of the most popular front-end frameworks for user interface developers. Its advantage lies in its open source usability. It could save a lot of time for UI developers. In addition, Bootstrap has some innovative features, such as mobile-friendly, SAAS, clean and lightweight code, cross-browser compatibility, and so on. So that most designers can use this framework to create responsive websites with less time and effort. Beverages is a 100% responsive website template with a restaurant theme that applies to the design of any food and beverage website. It is compatible with all devices and can display on all screen sizes. Because it built entirely in the Bootstrap framework, HTML5, CSS3, and JQuery, you can easily convert this template for any other type of business. TravelAir has a unique and creative homepage design using a modern design layout. There is an owl carousel slider with title text on the homepage. In addition, there is a jQuery UI Calendar travel booking form. At the homepage, there are tour packages, the destinations, and sections about your company, which will impress visitors with a professional and polished webpage. As a dietitian website template, Jessica uses a minimalist style web design, with a beautiful color scheme and appetizing food images. The nutrition website templates are fresh and attractive with topics such as health, fitness, body, food, beauty, diet, weight loss coaches, female coaches, and women's diet. This free responsive HTML5 website template is suitable for any type of website, such as website pages, launching websites, startups and more. This HTML template is 100% responsive cross-browser and compatible with all devices and all screen sizes. 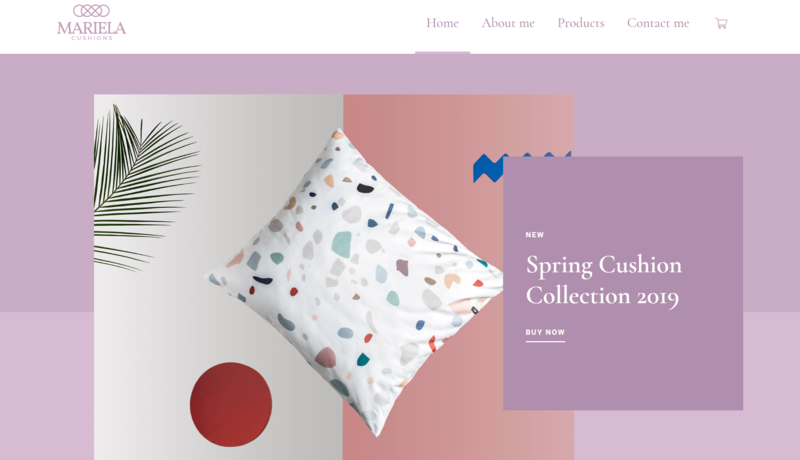 Mariela is a free E-Commerce 100%customized HTML5 template suitable for furniture, houseware website building. It's a well-designed website with full web functionality for fast website building without code needed. This free HTML5 template could use for multiple purposes such as school, factory, company website building. Video background makes the website with an animated effect. Vex is built with the recently released Bootstrap 4 CSS framework and is very responsive. In addition, Bootstrap 4 provides developers and users interface flexibility and Vex templates are mobile optimized for viewing on smaller screens. 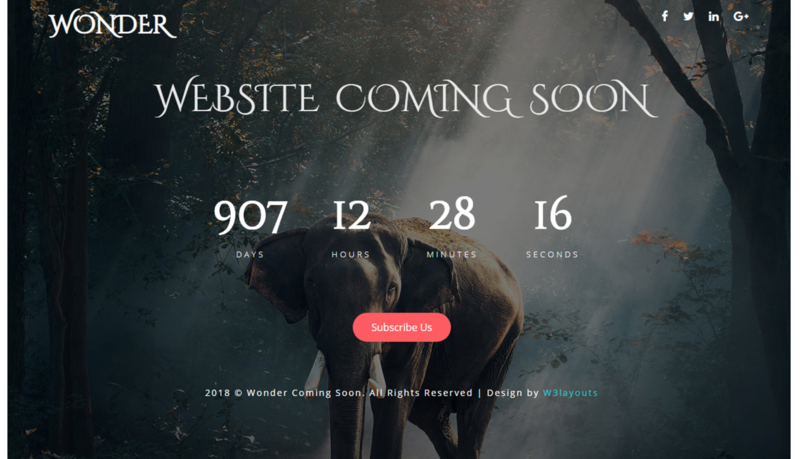 Conceit is a 100% responsive, cross-browser, modern, website template that provides multiple pages and is multi-purpose for a variety of businesses and enterprises. It’s a high-use template that allows users to build their own creative website. This template provides a variety of convenient pages templates including about pages, contact pages, 404 pages, latest blogs and so on. The design of this template is based entirely on the Bootstrap framework, HTML5, CSS3, and JQuery built. If you want a free corporate proxy website template that is lightweight, flexible and easy to customize, as well as free for business and personal use, Asentus is exactly what you want. This is a free HTML5 template with adaptive guidance for corporate agencies. This template is super clean and elegant. This template focus on the landing page design of the whole website. A good landing page with nice UI design could be more helpful on user guiding, enhancing the user experience. Cafe is a flat Bootstrap responsive web template for restaurants. With the valid HTMLT5 and CSS3 code, you can customize it for hotel website and other food and drinks business website also. 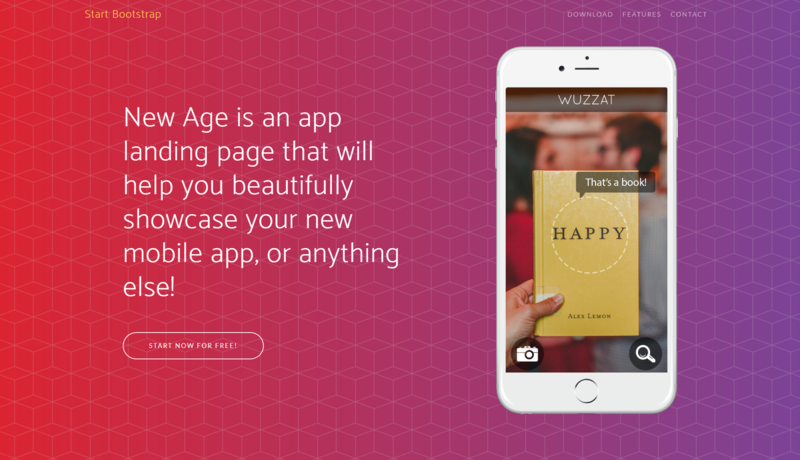 As a Bootstrap template, New Age showcases a landing page theme to help display your website and service. Fully responsive design allows you to customize it for any other devices for other business purposes. 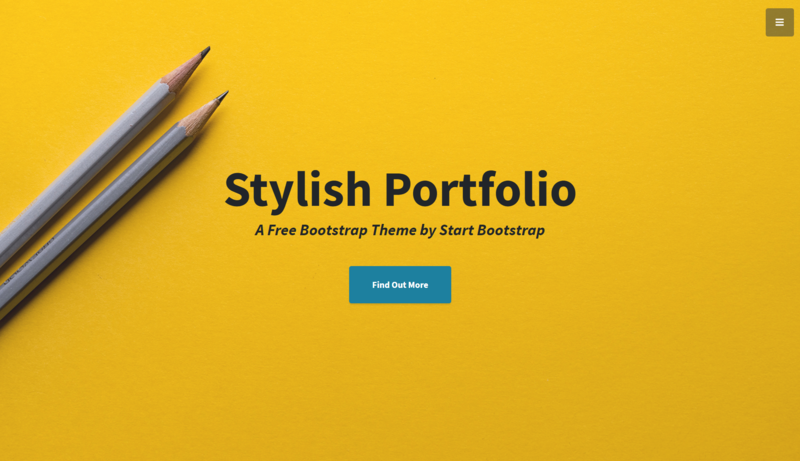 Stylish Portfolio is a one-pageBootstrap portfolio website template with off-canvas navigation and smooth scrolling through content sections. The whole website used Material Design colors, bright and bold. 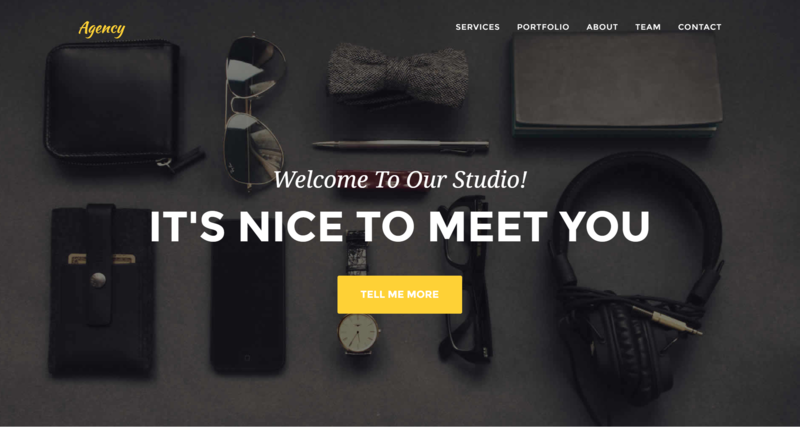 Created by Bootstrap 4, Creative suitable for creatives, small businesses, and other multipurpose uses. The fixed navigation menu with scrolling animations makes the website logical and clear to guide users. Garage is a completely special creative template developed by the Webdomus development team and is particularly suitable for antique or classic car displays. This multi-page responsive HTML5 CSS3 Bootstrap template has related sections to meet customer needs. Graffiti is a free CSS web page template for graffiti artists, street photographers, and creative professionals. Artworks and creative projects are attractively displayed on the front and center of the template. The eye-catching black-and-white media and parallax scroll provide a perfect background for a rich and unique style. 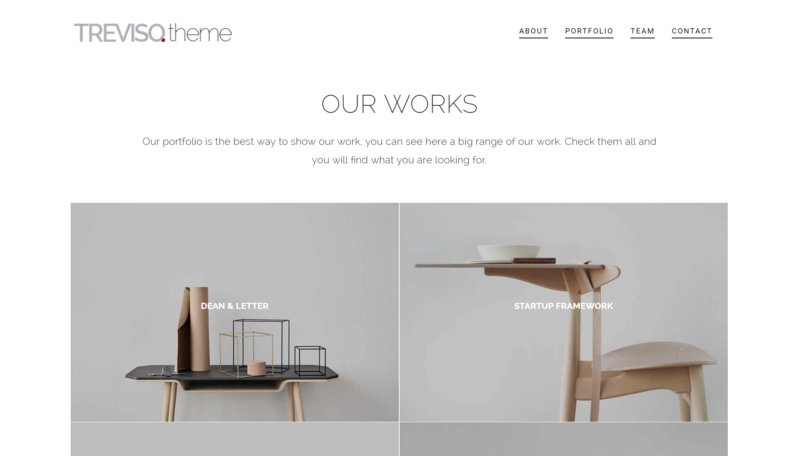 Treviso is a free CSS template for portfolio, interior or furniture website building. As a one-page template, it has 4 columns on the whole website. The white, black, and grey colors make the site looks clean and simple to read. As is indicated by the name, Agency is a free CSS template suitable for all kinds of agencies, studio, or other business purpose website building. Big image background highlights the theme and easy to grasp information by users. More Free Responsive CSS Website Templates you can find here. If you are looking for the best free responsive HTML website templates, Bootstrap web templates, and CSS web templates in 2018, just open any of the website templates above and download them for fast building of your own website! These are some of the best ways to save time and effort. If you want to have your own website but do not know any development language, it is recommended to use a prototyping tool, such as Mockplus, to quickly complete the website template design. Simply download a built-in website template like the examples mentioned above. Besides, you can download more free website templates on the Mockplus website. Just open one of these templates in the Mockplus software and start designing by importing pictures and other components. Your HTML5 website prototype design will be completed easily!